This is not a drill – the world has been spared from Rolling in the Deep and brought to new life: Adele has finally released new music. Like an unexpected typhoon, the pop megastar swept the world in a new volume of power ballads that forces its subjects into the corner with a box of Kleenex, tears, and some Netflix that will last a lifetime. Releasing her hit single “Hello” in the latter portion of October, Adele had set a precedent for the impact of her forthcoming album. The single itself has remained comfortably nestled in the top spot of iTunes, receiving infinite streaming and radio plays. After capturing the world in a state of awe and rapture of soothing and haunting vocals, Adele began her campaign for an iconic album release. Being released on November 20, the album currently resides in the number one spot on iTunes and continues to shatter records by the day. In its first week, the ballad-belter managed to claim the highest gross of albums in one week, beating the all-time record of N’Sync by almost a startling one million copies. 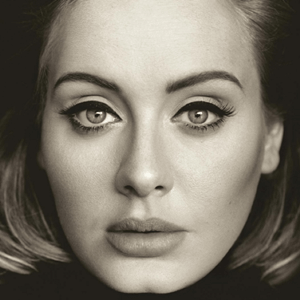 Adele continues to trump the standards by selling another one million copies on the album’s second week of release. With the album still in its infantile state and the lead single still grasping the ears of the many, the world has yet to see the potential of the award winning artist. History has repeated itself; Adele has once more Set Fire to the Rain.